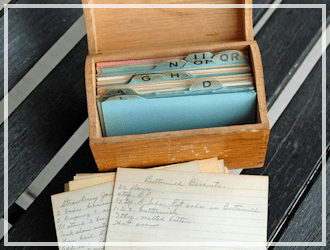 For today’s Happy Homesteading post we are heading to the kitchen!! 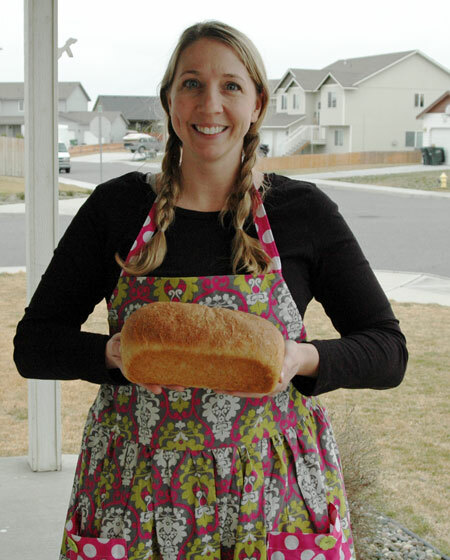 I found the perfect Homemade Whole Wheat Bread Recipe and made it from scratch just like the pioneers would have made. I can still remember my Grandmother talking about homemade bread. She remembered her mother making homemade bread once per week growing up. She said it was the best tasting bread ever. This picture above is my Great-Grandmother Lillie Olson’s brother Herbert Olson. He has a sad story – he died at the age of 26 years old from a well accident leaving behind a young wife and 2 small boys. I think this is one of my most favorite pictures from my family history. 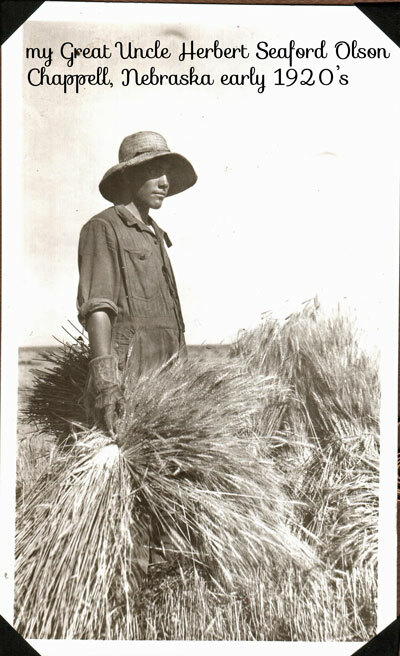 I love the way he is holding the wheat after a long hard day. They all worked so hard on the farm gathering up that wheat. 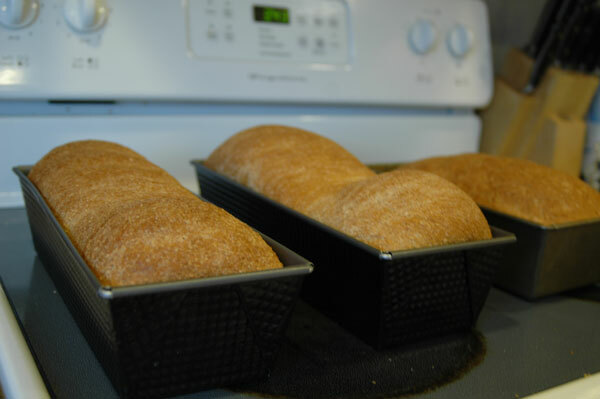 I have made rolls, pie crusts, cookies, cakes but I had never made a loaf of whole wheat bread. 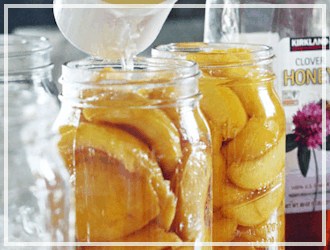 So I asked around and got an amazing recipe from April Homer. I tried to make one recipe by kneading it by hand (in honor of how they used to do it back in the old days), and one using my kitchenaid. Lets just say I will be using my kitchenaid from now on. 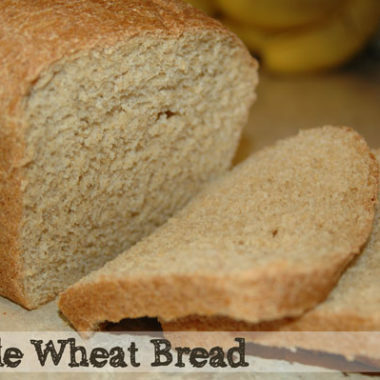 The trick to making this Whole Wheat Bread Recipe is to use vital wheat gluten and to grind your own hard white wheat. 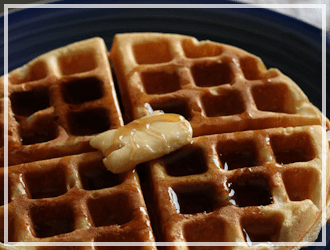 There is a huge difference in wheat types – the hard white wheat makes awesome bread. First thing I want you to do is watch the 1 minute video of my little son grinding some wheat we used to make whole wheat pancakes. It’s entertaining. I busted out my Back To Basics hand wheat grinder and got to work grinding out a bunch of wheat flour. 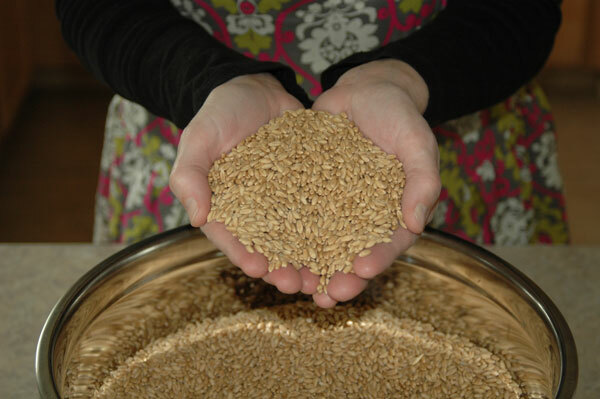 I had to grind out 24 cups of wheat to make my two large batch recipes. And I did it all by hand. After the first few minutes of grinding I discovered how NOT FUN grinding wheat is. It is a workout on the arms for sure. I called out “Who will help me grind the wheat? ?” Said all the kids, “Not I”. Said my husband, “Not I”. How irritating. At this point I starting feeling quite sorry for the Little Red Hen. After I finished it was time to begin making the bread. I decided to use my Kitchen Aid mixer for this first batch. Mix together 4 Cups hot water, 1 Tablespoons salt, 1 Cup honey and 1/2 Cup oil in your Bosch or Kitchen Aid mixer using dough hook. Mix until dissolved. Then add in 6 cups of whole wheat flour (hard white wheat), one cup at a time. 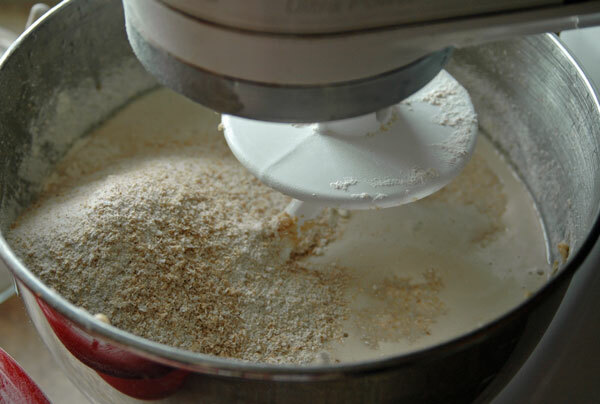 Then add 3 Tablespoons yeast dissolved in 1/2 cup warm water, 1/2-3/4 cup vital wheat gluten, and 5-6 cups more wheat flour. 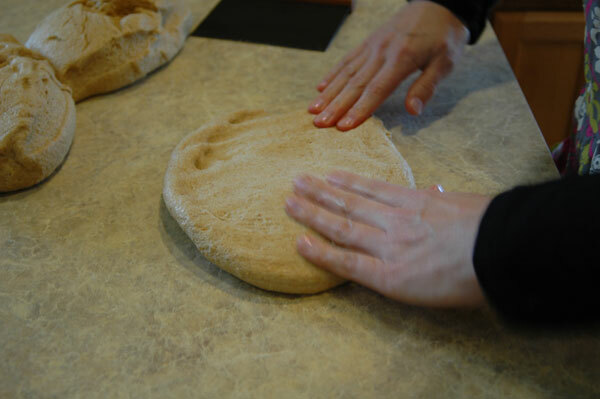 Add flour until dough starts to come off sides of mixer, and you can pinch dough where it doesn’t stay on your fingers. 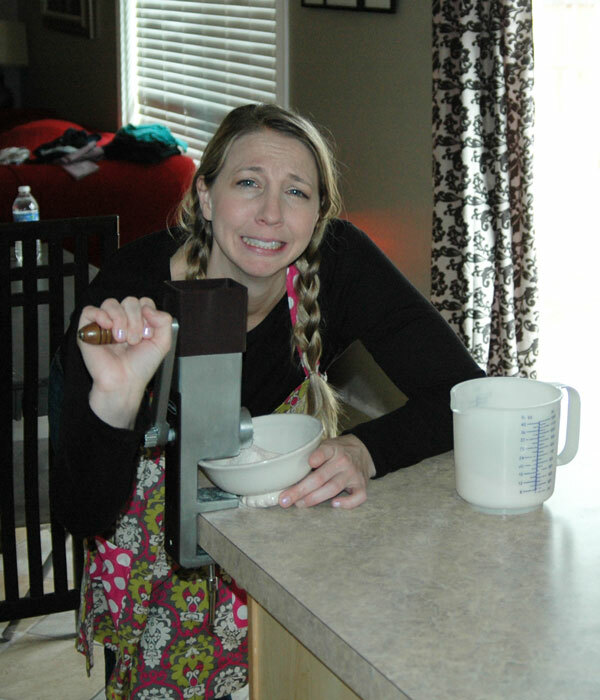 The recipe says she never measure flour…just to go by consistency. 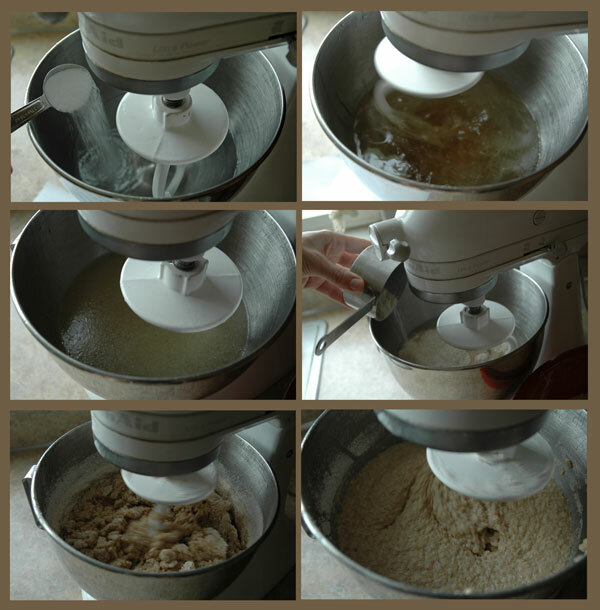 Then mix for 5 minutes using the dough hook on lowest speed. Place in oiled bowl, cover with towel and rise until doubled, about 30-45 minutes. 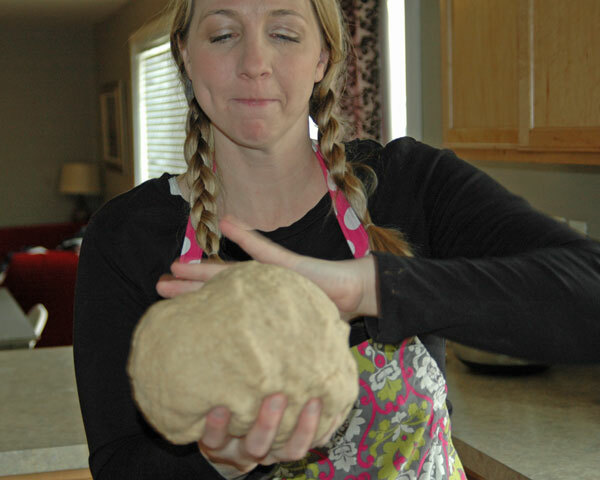 Here is my beautiful dough!! I stuck mine in the oven with the light on to help it rise nicely. Next is the fun part! Punch it down and rise in the bowl again another 30-45. Punch down the dough again. 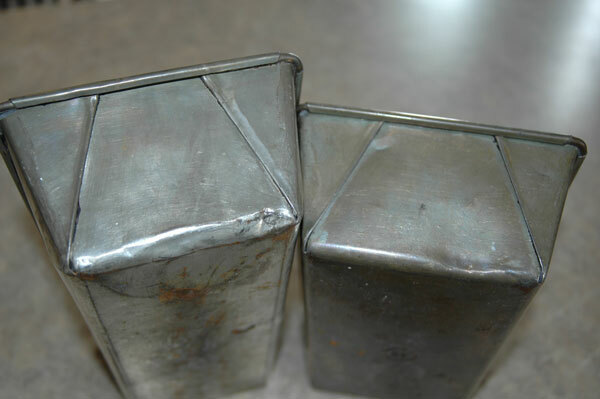 My grandmother handed me down these beautiful old bread pans – aren’t they cool? Look how the metal is wrapped on the pan. I decided I wanted to try to use these old pans as well as my own pans to see if there was a difference. 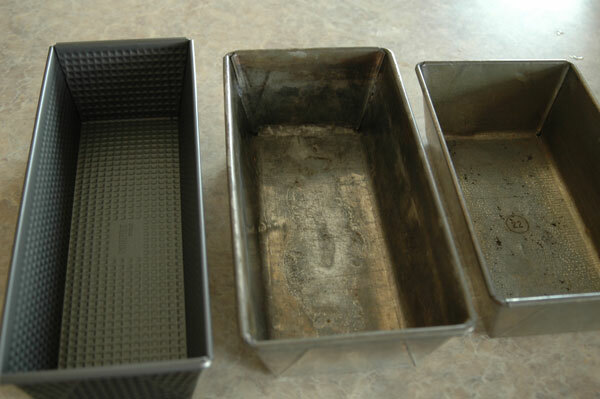 Here are all three pans sitting next to each other – 2 old ones and my own favorite 12″ loaf pan I purchased on Amazon. 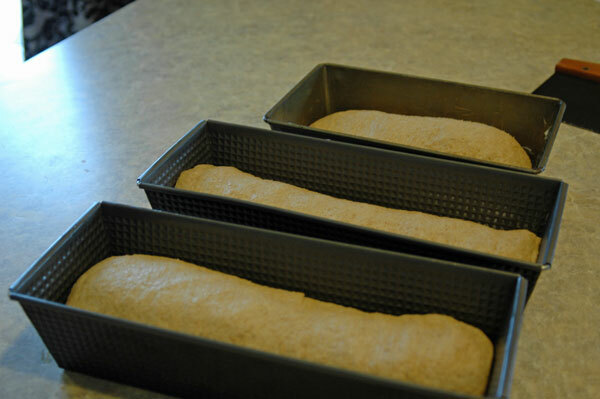 Next I cut the dough and shaped them into loaves (will make 4-5 regular sized loaves or (3) 12 -inch pans). Let rise in pan until 1 inch above pan, about 30 minutes. I think I could have let the ones on the ends raise a few minutes longer. Then bake at 350 degrees for 10 minutes, then turn down to 325 degrees for 25 minutes more. Cool for 10 minutes, then place in bags and freeze while still warm. Look how lovely they all turned out!!! And it tasted like heaven….heaven with butter. 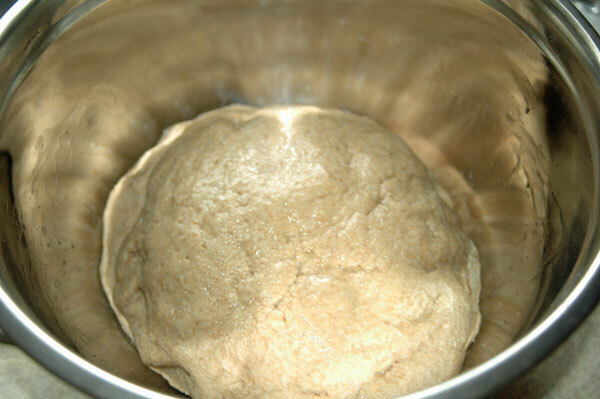 It took around 3 hours to make bread – most of it waiting to rise. I was so happy it turned out looking and tasting like actual bread!! So then I got the big idea to try to make another batch using a different recipe all without electric tools. 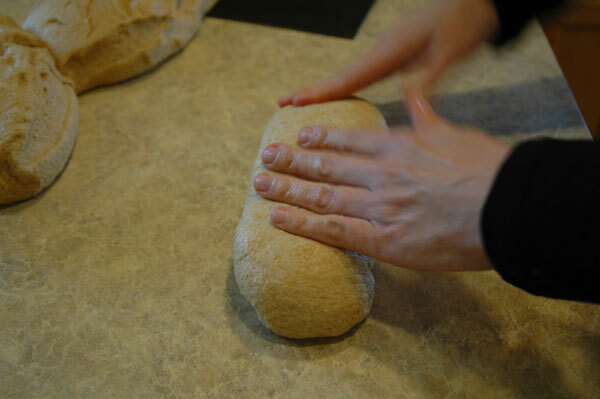 We mixed by hand, and then I kneaded for 15 minutes with my own fabulous muscles. My young helper joined in with the kneading too. I don’t know what happened this time. Maybe I didn’t knead it good enough, not really sure. 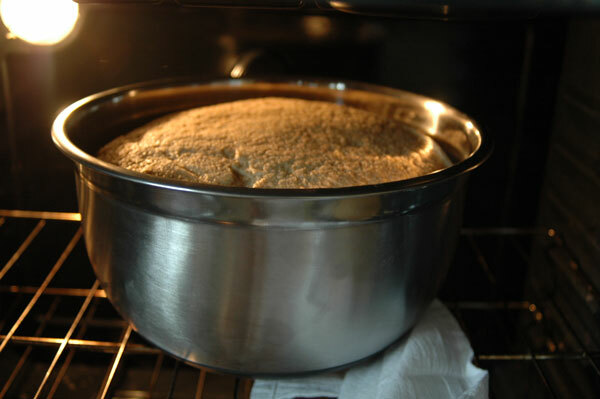 But it never would rise up above the pan, so I just baked it anyways. It looked and felt like a brick. Not good. You can see the difference between my first batch and second batch. 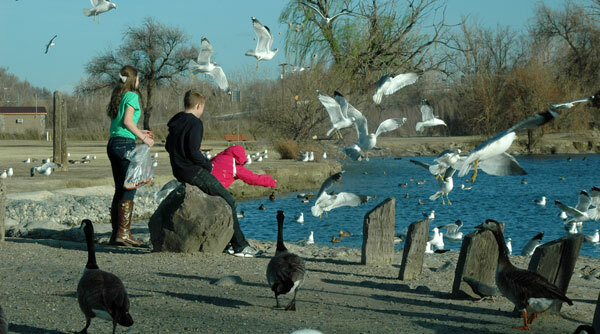 So the next day we decided to go and feed some birds with my mishap. It was fun. And all that grinding and kneading bread by hand literally went to the birds. I wonder if that’s where that saying came from.. I am going to stick with my first recipe and try to make it a lot more often. We have already eaten through 2 loaves of it, it is super delish! WORTH THE COST? 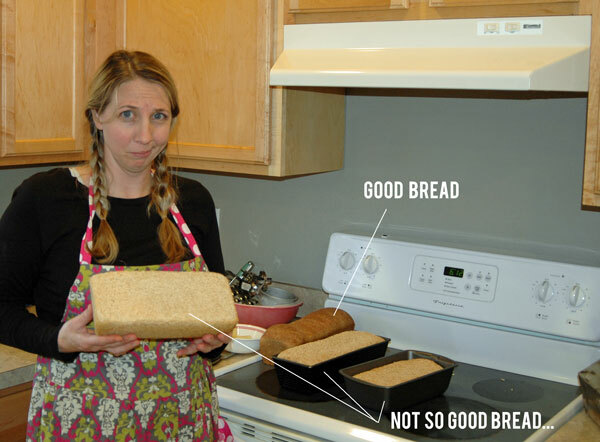 YES – each loaf cost $1.36 to make -most 100% whole wheat bread costs $3-$4.00 at store. If you regularly shop at Bakery Outlets though you might find a loaf for less there possibly. WORTH THE TIME? YES if you have 3 hours at home you can make it. It’s mostly waiting for the rising process. NO if you are super busy, gone all day long working. Winco bulk section: $2.68 lb. Final thoughts on making my own Homemade bread. I like that I know all the ingredients that went into making my own homemade wheat bread. It is a great deal considering most whole wheat breads run close to around $3-$4 per loaf. The only better deal I think you can get is if you were to go to a Bread Outlet store – you might be able to get some for $1.00 per loaf. Probably won’t taste as good as your own though. 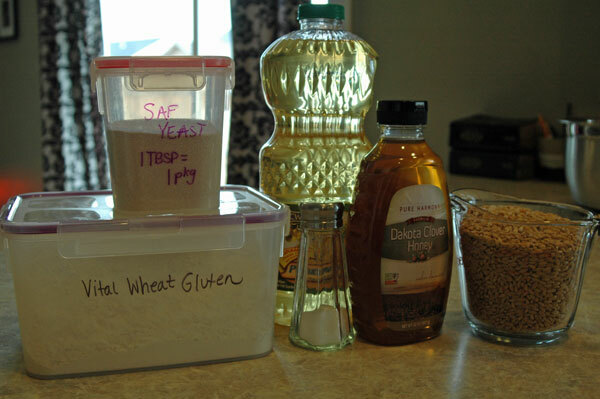 I am going to try to make my own bread from scratch for the next month – once per week and see how it goes. 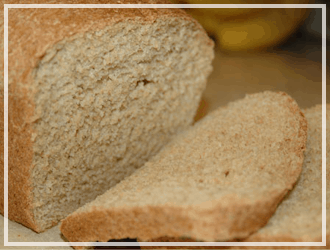 Do you make your own homemade Whole Wheat Bread? How often do you make it? 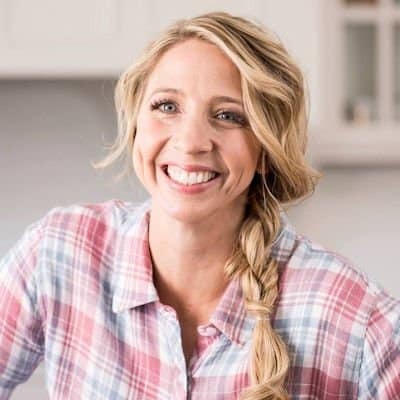 Also feel free to share your recipes in a comment below and I would love to try yours out too. 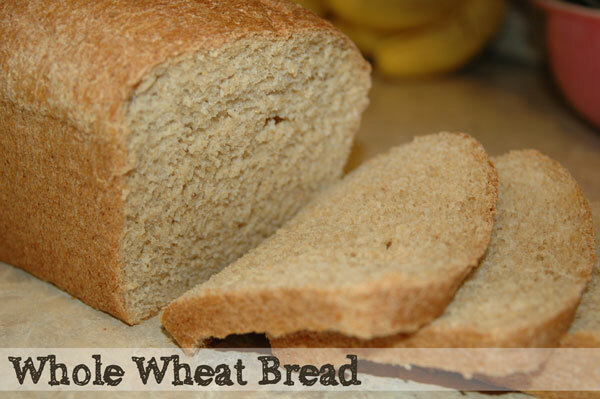 Homemade Whole Wheat Bread is the best tasting bread ever! Mix together 4 Cups hot water, 1 Tablespoons salt, 1 Cup honey and 1/2 Cup oil in mixer using dough hook. Mix until dissolved. Then add in 6 cups of whole wheat flour (hard white wheat), one cup at a time. 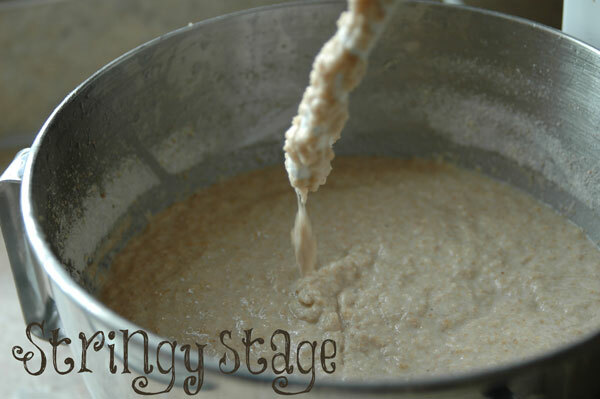 Mix about 10 minutes until stringy. 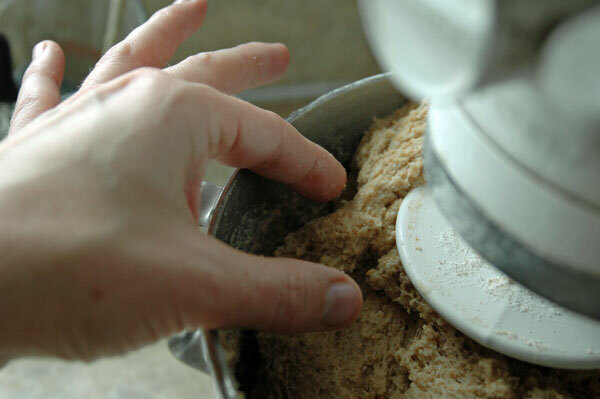 Add flour until dough starts to come off sides of mixer, and you can pinch dough where it doesn’t stay on your fingers. Place in oiled bowl, cover with towel and rise until doubled, about 30-45 minutes. Punch it down and allow to rise in the bowl again another 30-45 minutes. 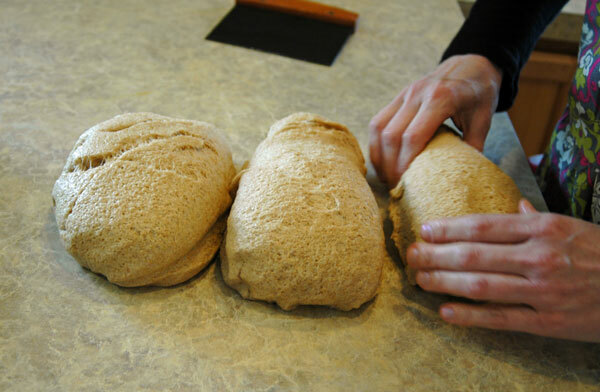 Cut the dough and shaped them into loaves (will make 4-5 regular sized loaves or (3) 12 -inch pans). Let dough rise in pan until 1 inch above pan, about 30 minutes. Cool for 10 minutes, then place in bags and freeze while still warm. 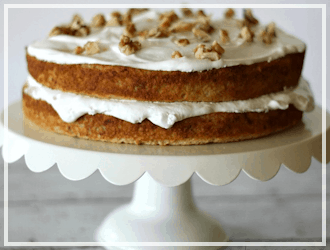 This is one recipe I like to make in advance and freeze. 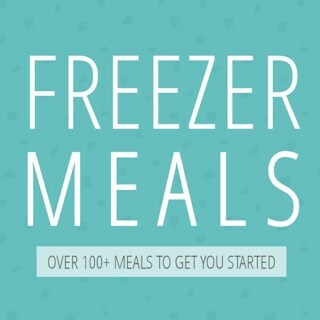 See some of my freezer meals I make too here. I want to make whole wheat bread, here in India we always get our wheat ground from a grinding mill and make our roti or chappati. We do not have a kitchen aid in India( it has just entered the market but super super expensive) much beyond the means for a regular person. What do you suggest I do make it with my hands. I have been making bread (without my mother’s help) since I was in high school. 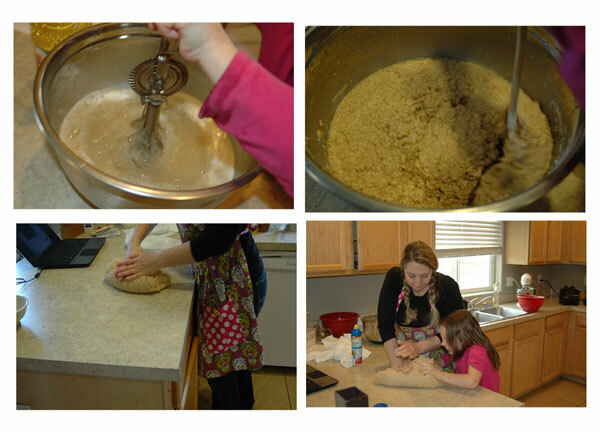 My favorite to make is my mother’s Oatmeal bread recipe. 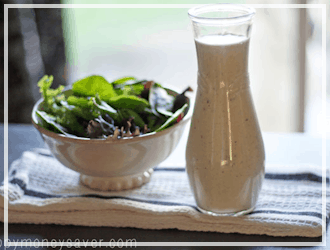 It is so much better than plain white bread and it is the only way my husband will eat oatmeal. 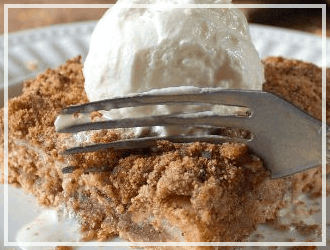 Add one cup (or one serving) of cooked oatmeal and substitute brown sugar for granulated sugar. There is a lot to be said for making bread without a mixer. 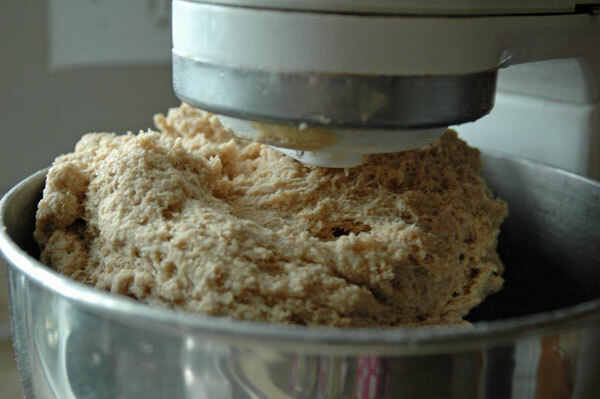 I have been known to take out my frustrations mixing (beating) the dough with a bowl and wooden spoon then, kneading (punching, pounding, trouncing ) the dough. I feel better, the bread is delicious and, no one is hurt. I have made this bread many times now and it is wonderful to say the least. 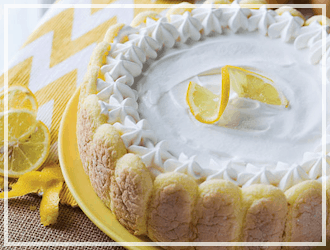 It isn’t hard to make…especially if you are at home one day anyway. Well worth the time. So many compliments on this bread. I like to make it into rolls for breakfast. We eat one along with a green smoothie. Lots of energy from the combination of both. Thanks so much for this recipe. 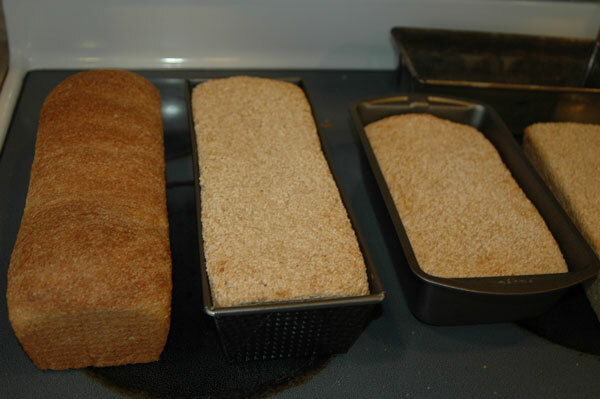 I have baked whole wheat bread for over 30 years. My kids grew up on it and now I have grandkids getting ready to graduate high school this year which have also grown up on it. The changes that I have found over the years is the wheat. 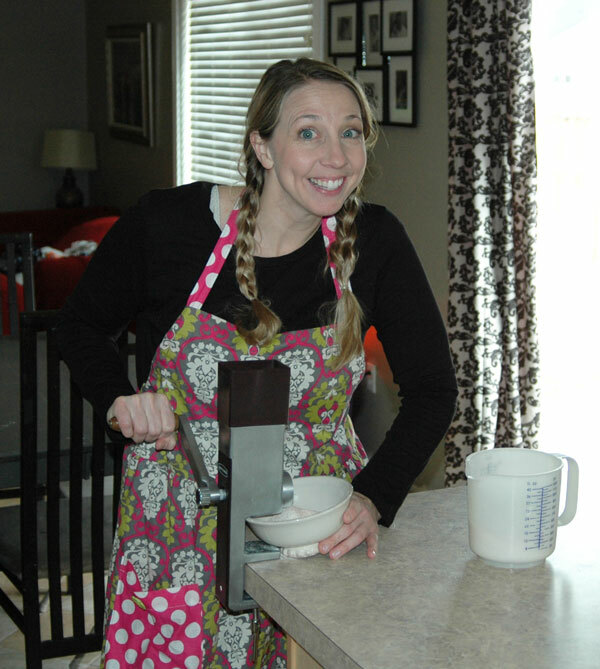 I have always purchased grain in 50 lb bags from the health store and ground my own flour. 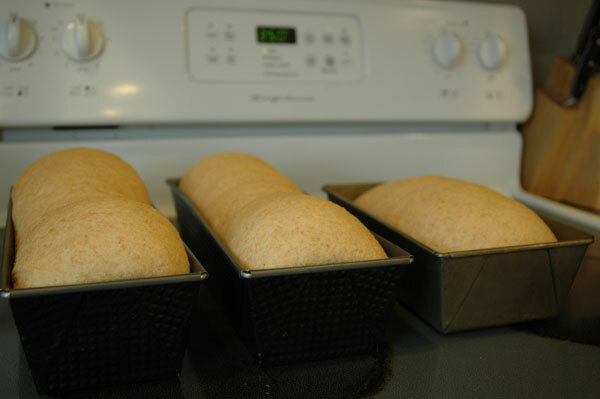 There is nothing better than wheat ground and becomes bread in a matter of two to three hours. My only problem now is making sure that my grain in free of GMO’s so I ask and make sure every time I purchase wheat in bulk that it is.